Previous The Hidden and Informal Curriculum During Medical Education	Next Were do Mirror Neurons Come From? 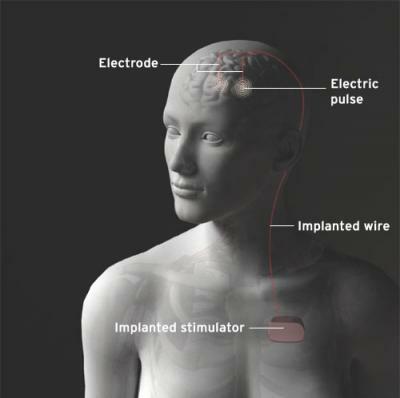 You realize of course “deep brain stimulation” is considered abuse. I am frankly amazed you would dare promo this dangerous rubbish on the internet. It’s this sort of thing that besmirches the efforts of all therapists who don’t engage in patient abuse. As someone who not only has training as a therapist but also treatment resistant depression, I have to say that this does not seem to be abuse to me. If this procedure could give me relief after 38 years of major depression, I would consider it a blessing. I find the response of Bretha Muse to illustrate one being sadly ill informed and lacking compassion whether from the standpoint of a professional, patient or other. As a very, very long time support person and caregiver I advocate for considering the least invasive treatment options to be considered first such as nutrition, holistic approaches as well as talk therapies etc. To consider DBS and/or medications, ECT as well as the newer neuro-modulation therapies as abusive therapies obviates the fact that respondent has no clue as to the extent of the unique patient population suffering and searching for decades to obtain some relief from their MDD. But when these least invasive treatment options fail to yield efficacy and the patient continues to suffer both in pain and anguish or escalates into suicidal ideations should one cease in one’s efforts to obtain some degree of wellness because the respondent considers a particular therapy to be abusive? As long as the patient is reasonably educated and informed to make un-coerced medical decisions in collaboration with a trusted, caring, knowledgeable and licensed health care provider I consider the illness abusive along with the inability to obtain as well as the lack and availability of alternative treatment options as opposed to any therapy. I take great offense at people who refer to this practice as abuse. Obviously earlier attempts using electrodes to alter behavior brough on questions about mind control and so forth. The fact of the matter though is that individual personality comes from the makeup of the circuits in our Brain. Some of this is genetics, some of it environment. Those with a misfunctioning left ventral prefrontal circuit can find themselves mired in depression and hopelessness forever. Those with more active circuits can be have very outgoing, happy, extroverted lives. I happen to believe that left-handers and ambidextrous folks are more at risk for depression and substance abuse and one day hope to have a study with a large enough sample size to demonstrate this. Those of us with treatment resistant depression would do ANYTHING to get our lives back. We must face a gamut of red-tape and ignorance from those in the medical profession who do not keep up with the latest research. We’re fed SSRIs and antipsychotics and told to “just deal with it”. CBT can be helpful for coping but it somecases its like asking someone with bipolar or schizophrenia to simple wish it away. I wish they would expand these trials to more folks willing to give it a try. Hi doc, I hope all is well with you and yours. I must profess a great unfamiliarity with the Known and theorized physiological mechanics that produce the recognized symptoms exhibited in MDD and/or TRD.Additionally,I further profess a lack of knowledge and familiarity with the known/mapped regions of the human brain,its systemic relationships and/or circuitry but I do expouse my expertise in understanding what it is to live with this malady as one who has been treatment resistent for decades.I try to temper my offense at individuals such as Bretha Muse, who express such opinions,with the assumption that they are simply not qualified by Knowledge and facts to express an informed opinion.Additionally my assumption is that Muse has not suffered from MDD and/or TRD.My life has been ruined by this condition and I have been trying to volunteer for a DBS study for sometime without success mainly due to my geographical location and modest financial resources.I would certainly volunteer without hesitation and do appear to be a prime canidate by all criteria and guidelines I reviewed on published trials.I hope this research holds great promise for those who suffer this disorder. Here it is June and I just read the comment by Bretha Muse. I was honestly in shock. As someone who continues to stuggle with major depression/treatment resistant depression I would be one of the first to jump and be able to have DBS. I’ve been talking with a psyciatrist, who is involved with the trials (of course who knows when it will finally be available)over the past three years. Obviously comments like what was said by Bretha Muse just shows how much she doesn’t understand depression at its worse. I had DBS surgery for depression on Aug.28/2006 and it saved my life! Having treatment resistant depression all my life is ABUSE! So, as a patient, I would appreciate it if you would keep your comments to yourself, as you have no clue what you are talking about! I am truly thrilled and glad to read that you’ve found a treatment that has yielded you relief and a degree of wellness. I cross my fingers for you that your remission and wellness continues indefinitely. What should also be kept in mind is that there are no guarantees of efficacy with DBS or any therapy and that at the moment there is no way of knowing in advance as to who will or will not be a responder. I am aware of several DBS study subjects who unfortunately are not responding as well as you but what is important is to not give up and to remain hopeful and persistent while continuing to educate oneself as to conventional and newer therapies. Once again, I extend my best wishes to you. I live near Philadelphia Pa. I have had a decades long problem with treatment resistant depression. Can someone provide me with a contact of a doctor that does this procedure so I can get more information in order to make a decision? As a lifer of TRD I am enrolled in a DBS study and hoping for success. For those of you contemplating this surgery…BRAVO! I won’t lie, it is huge but most people get their lives back. If anyone has any questions about the surgery itslef or wnat to know close locations,asl me. I would love to help in any way I can. You can talk to me about anything….my heart goes out to you. Anybody from Canada?